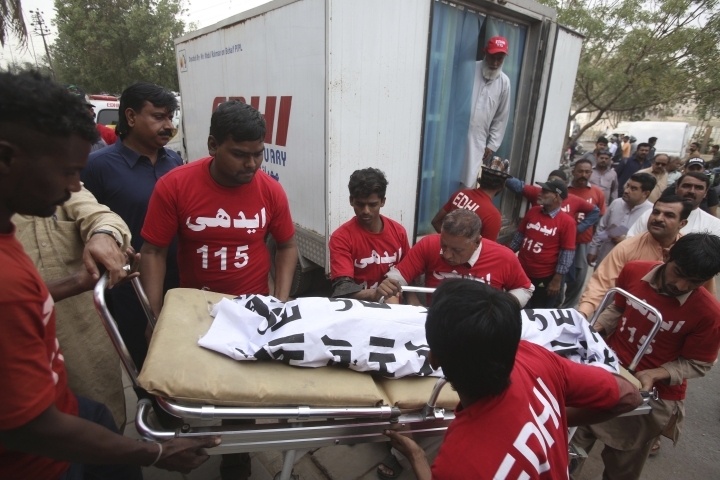 KARACHI, Pakistan — Pakistani police say five children have died of suspected food poisoning after their family had dinner at a restaurant in the country's south. Police official Ameer Shaikh said on Friday that the family of eight, from the southwestern city of Quetta, arrived in the port city of Karachi the previous night. He says they had dinner at a restaurant in Karachi's business district where the suspected food poisoning occurred. He says the family also had food while travelling to Karachi. Shaikh says the five children were 2 to 9 years of age. Their mother and her sister are in hospital, critically ill. The restaurant was shuttered and food samples were taken for an investigation. Last November, two minor siblings also died after eating at a Karachi restaurant.